Taking over the Barclays Center this weekend for a tribute concert for the Notorious B.I.G., Diddy aka Puff Daddy announced huge news that is the Bad Boy Family Reunion Tour. 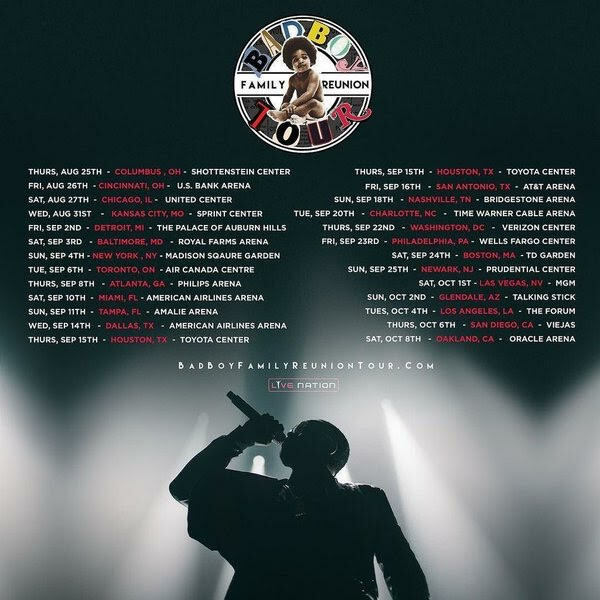 The tour will feature Bad Boy all-stars including Puff Daddy, Mase, Lil’ Kim, The Lox, 112, Faith Evans, Carl Thomas, Total, and Mario Winains. French Montana will also be joining.